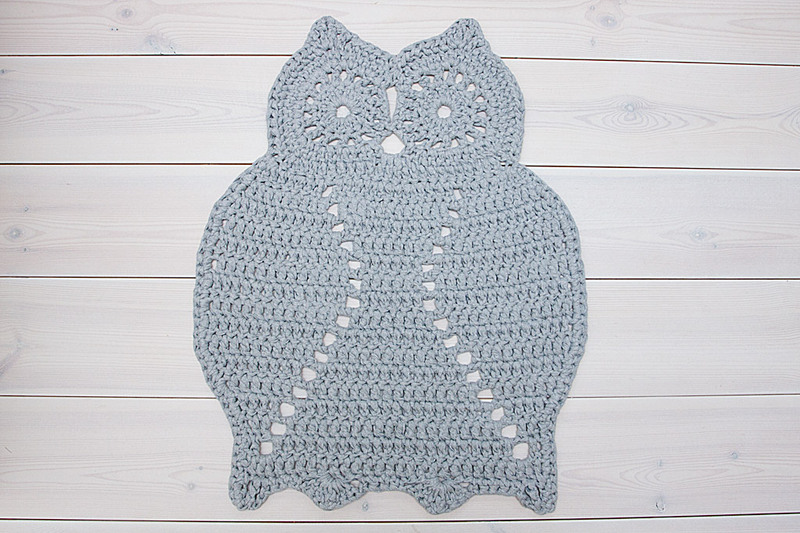 Grey crochet owl rug with measurements of 79 x 61 cm / 31 x 24 inches. 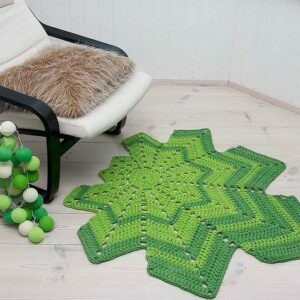 The rug is made of cotton knitted tube. 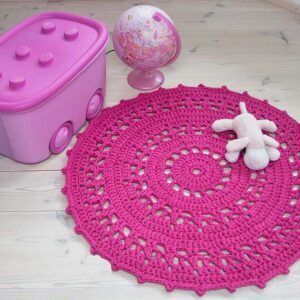 This cute crochet owl rug is fascinating for most kids and it brings an element of fun and originality to a nursery or to a child’s room. See additional information under description. 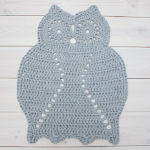 This cute crochet owl rug is fascinating for most kids and it brings an element of fun and originality to a nursery or to a child’s room. The owl is the symbol of knowledge and wisdom. 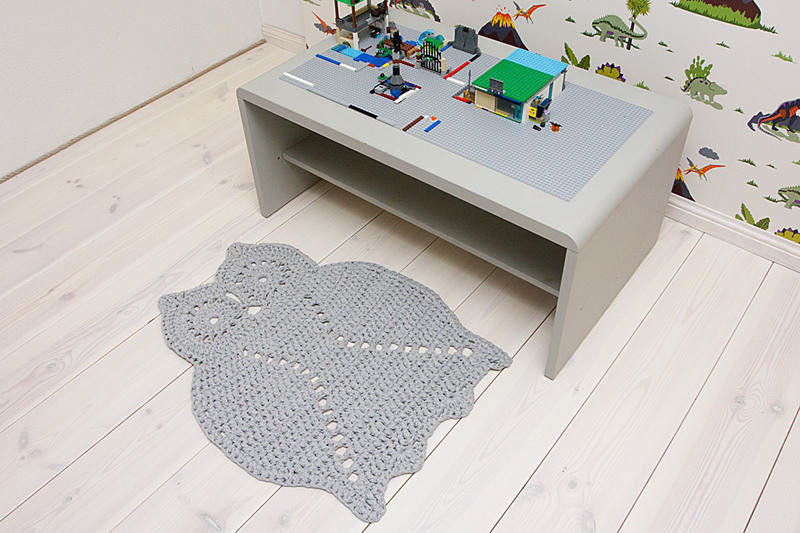 Owls are most often seen and heard during the night, for that reason this rug is perfect for bedroom. Attracts the eye and enlivens the interior. Perfect for your home or as a gift for any occasion. 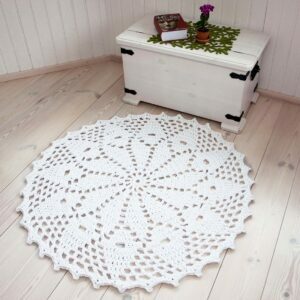 Beautiful, cosy, stylish, practical, easy to clean and skin-friendly. 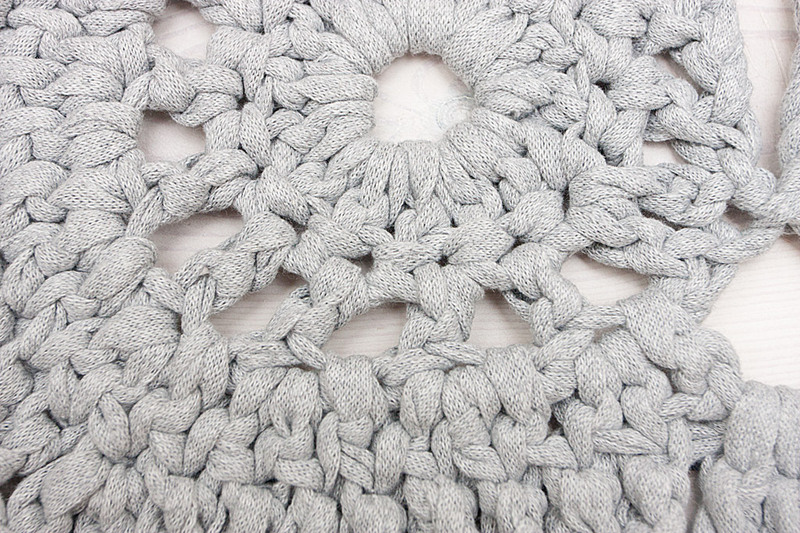 Colour: light grey. Please note that the colour may vary depending on monitor settings. I have tried to get as close to the colour as possible. 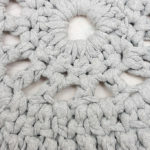 It is handmade from 1 cm / 0,4″ wide knitted tube – knitted rounded ribbon made from recycled cotton. Material 80% cotton / 20% other fibres. Washing by hand or in washing machine: washing programme for delicate fabrics at 30-40 °C. Dry flat, stretch when wet. For easy shaping, you can iron.